Classical and masculine design at our pyjama by Adamo. Made out of 100% cotton the pyjama promises pleasant nights. A perfect sleeping duo for every men who like the uncomlicated and comfortable way. 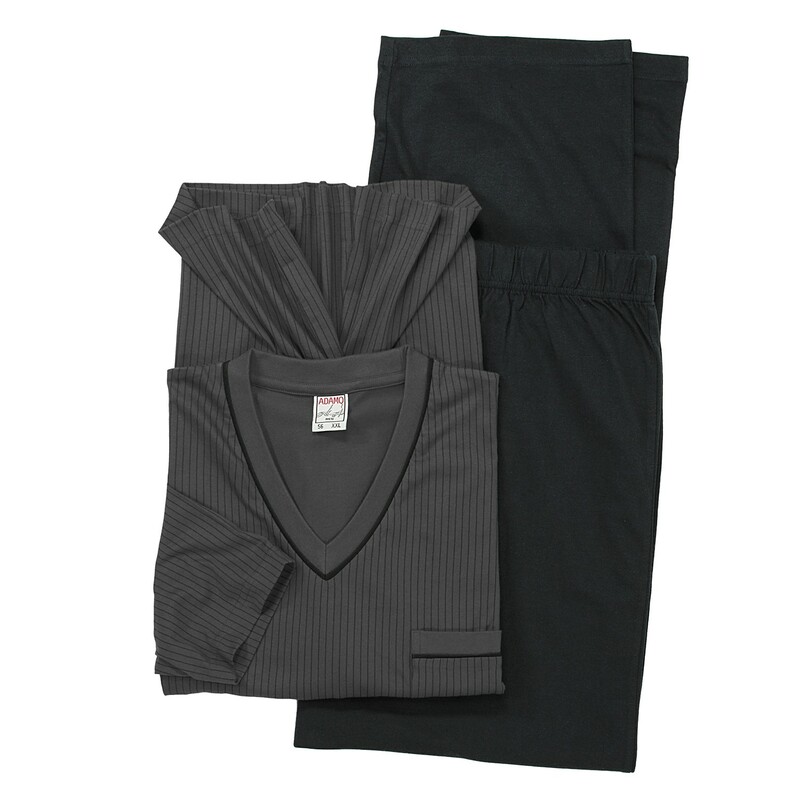 The short pyjama is available in great sizes from XXL to 10XL.